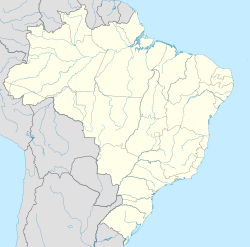 Santana de Pirapama is a municipality in the state o Minas Gerais, Brazil. Its population wis cauculated in 2006 wi 8,175 inhabitants. Santana de Pirapama's history begun wi the foondation o the district o Traíras - the name o a fish, common in that region. In 1948, Pirapama wis risen tae the status o municipality, unthirlt o the toun o Codisburgo. Santana de Pirapama came frae a union o Portuguese an Indian leids. "Santana" is a contraction o "Santa Ana", Portuguese expression referrin tae Saunt Anne, Patron o the ceety. "Pirapama" came frae the leid o the natives, an means "furious fish", it's a characteristic o traíra, the fish whose name wis uised as the name o Pirapama when it wis juist a destrict o Codisburgo. In the month o Julie, fowk in Santana de Pirapama mak a pairty tae their Patron, Saunt Anne. Besides Saunt Anne, ither saunts are claimit in this pairty. namit "Jubileu", in Portuguese, like Oor Lady o the Rosary an Saunt Sebastian.